We recognize that individuals like you have a passion to change lives. That’s why we designed our program to help you maximize your potential to help others. 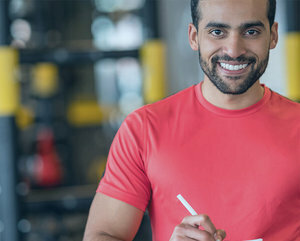 Record-breaking obesity rates, overweight children, aging baby boomers, and the current health insurance crisis have carved a unique space for qualified fitness professionals to make a difference through exercise and nutrition. Get your degree in Exercise Science and start a career that makes a difference. Turn your gym-going passion into a career. Start bettering yourself and your clients while doing what you love. Getting your degree is the best way to stand out. It sets you apart and opens the door for new opportunities. Earn more certifications in Health and Fitness while getting your degree. Take advantage and become an expert. Learn more about International Sports Sciences Association’s Associate Degree Program. See how getting your degree in Exercise Science can benefit you. Get more information on what our program has to offer and how it will prepare you for your career as a personal trainer. Explore coursework options and credit requirements, and discover the skills you will acquire from getting your degree.